ReflectRider Front leg Boots provide protection with reflective bands for riding at night. Three reflective bands will alert approaching cars to take precautionary measures. 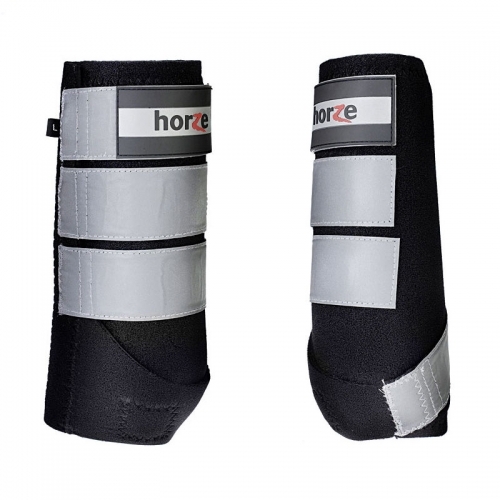 High quality and supportive, a Velcro strap secures the boot and deters rotating for a comfortable fit. Close straps prior to washing. Hand wash for best results. Air dry.